Join our Blogging Community to regularly produce articles to worldwebsitedesign.com. Write about your Technology, trends , hot news or experiences in Web Design, Web Development, Online Marketing, Technology reviews and SEO. We disabled new registration in our website, if you are really interested contact us through our email id below we enable you to access the website in contributor or editor access within 24hr. Start reading our Contributor Program below before registering for contributor program. What are you looking for in a WorldWebsiteDesign.com contributor? We’re looking for the writers who have great interest in Web Design, Online Marketing, SEO, Social Media or Technology Reviews. High Quality writing is needed and it has to be matched with our style. After register your details here, you will receive a mail with the Auto Generated password. Use the password received on your email to submit your First post. But, Before submitting your post make sure that you must fill the details on your profile on login such as Social details, Author bio and external web link & your actual picture (Please avoid using dummy picture, Your account will be deleted soon if we found that you are using dummy picture). Our Active review team will review your post and determine whether your content fits W2D audience. Editorial team will have power to revise your content, if everything is okay than you will get the link where it actually gets published. Create your Contributor account now on W2D here. You need to contribute at-least 2 post in a month. Also, don’t worry about the post quantity. If you have great piece of content, please feel free to submit. How your article is reviewed? Not every articles submitted will get published on W2D – Everything is dependent on the quality of content, style of writing etc., In general articles with low quality content, backlinks targeted post or backlinks to the irrelevant sites or Affiliate sites or backlinks may rejected. Based on the length and content quality, article review time varies. 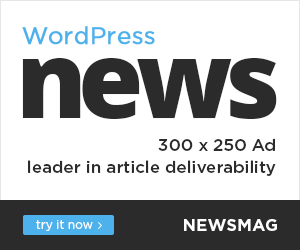 Article I have submitted is not in your WordPress CMS? If you have submitted your article on a WordPress dashboard and if see that your content is not appear over there, then you’re content likely been rejected or deleted by our editorial team. Can I see post analytics details? We usually does not share the number of page views to our contributors, instead you see your post reach, social share etc., through your post page. In general, it should be between 600 to 800+ words. Anything lesser in count will significantly rejected. Also, you must have to submit at least 1 image relevant to the article with proper copyrights details. How can edit my article already in live? You don’t have enough premises to edit the article that is been already live. In case if you have any correction, send an email to info@worldwebsitedesign.com or contributors@worldwebsitedesign.com with the subject “ARTICLE PROBLEM”. If you are having problem with login, please email us at contributor@worldwebsitedesign.com with the headline “WORDPRESS LOGIN ISSUES”. We are receiving a high volume of new requests each day; however we appreciate your patience as we can handle these requests as quickly as we can.